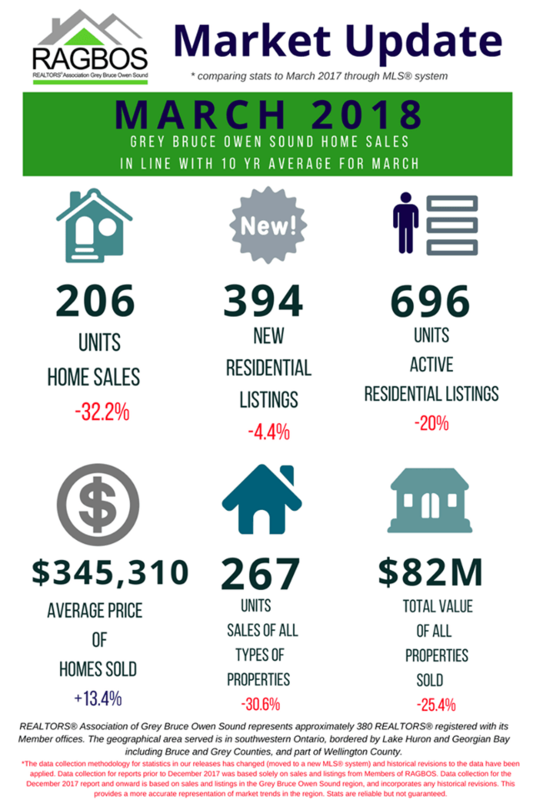 Residential sales activity recorded through the MLS® system for the Grey Bruce Owen Sound and Wellington areas totaled 206 units in March 2018. This was down 32.2% from the record smashing month of March in 2017. That said, March 2018 sales stood right in line with the 10-year average for that month, and roughly in between the highs and lows of recent years. 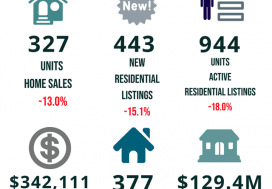 On a year-to-date basis, home sales totalled 475 units over the first three months of the year. This was a decline of 22% from the same period in 2017. The average price of homes sold in March 2018 was $345,310, rising 13.4% from March 2017. The more comprehensive year-to-date average price was $333,918, rising 11.1% from the first three months of 2017. 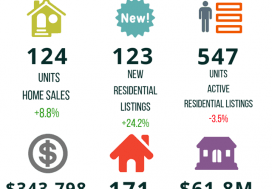 New residential listings in the region numbered 394 units in March 2018. This was down 4.4% on a year-over-year basis. Overall supply stands at record lows. 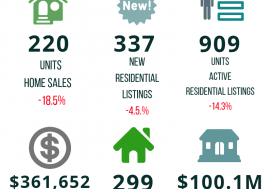 Active residential listings numbered 696 units at the end of March, down 20% from the end of March 2017. Months of inventory numbered 3.4 at the end of March 2018, up a bit from the 2.9 months recorded at the end of March 2017 but still well below the long-run average of 9.8 months for this time of year. The number of months of inventory is the number of months it would take to sell current inventories at the current rate of sales activity.